You can read reams upon reams elsewhere about the qualitative aspects of Kid A and what exactly makes it the best album of the 00s, not to mention one of the most widely acclaimed works of music history, so I’m going to cut all that out and just tell my own story about it. When I was 15, I spent a week of my August school holidays staying with my brother Ed. While he and girlfriend Rach were at work, I whiled away solitary hours on the couch watching the Sydney Olympics, playing Driver on PlayStation and listening to the former student, newly commercial radio station uFM. (And, yes, getting up at 11 in the morning if I was lucky. If you can’t be a horrible layabout when you’re 15, when can you?) uFM had gotten their hands on a promo copy of Kid A and played about five or six tracks from it each day of the week. Now, I couldn’t say it was love at first listen, but I was intrigued. I knew it was a new kind of music for me; there was something intrinsic about it that reached out to the listener, but through the limited scope of commercial radio, I couldn’t put my finger on what it was. A few months later I put Kid A at the top of my birthday list, not really expecting it to change my life, but definitely wanting to experience it again. Naturally, Ed bought it for me. For the following month the disc shuttled back and forth between my home CD player and my Discman, the sounds living in my head whenever I wasn’t listening to it. ‘Idioteque’ stuck out as an early favourite, but the more ambient tracks – ‘Everything In Its Right Place’, ‘Treefingers, ‘Motion Picture Soundtrack’ – moved me in a way I still couldn’t articulate. In any case, I swiftly decided as only a teenager can that this was the Best Album Of All Time and I would never, ever get sick of it. Over the following couple of years, particularly after a wonderful New Year with my brothers and their spouses at Lake Ohakuri, I took it everywhere with me. I’m not just saying that. I really did. I even made a point to listen to it on every car or bus journey leaving or returning to Auckland, where I lived, and every time it offered up some grand realisation or small detail that I hadn’t understood or noticed before. Those ambient tracks now emerged and revealed themselves fully along with the rest of the album, and over time I felt like I could see, feel and accept ideas about our world that had never even remotely occurred to me before. I left home, to go to university and then to work. Kid A came with me in its now tattered case. 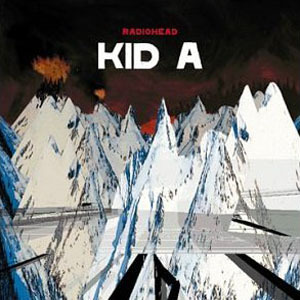 I discovered and embraced other Great Albums but always held Kid A above them all, the album that really got me into music, the album that I loved the most. Every phase of doubt about it – ‘maybe it isn’t actually that amazing after all’ – was struck down as soon as I listened to it again. With each passing year it became ever more a part of my soul and my being on this Earth, and so it remains today. Radiohead have released other albums, and I have doubted them and been schooled each time. But my teenage self turned out to be right: nothing will ever beat Kid A. It is to me what I understand The Piper at the Gates of Dawn is to my dad – though he will surely expand on that – and Ziggy Stardust is to my mum: a unique relationship with a musical work that impacts you so strongly during your formative years that it never leaves you, or more accurately, you never leave it. What’s yours? Here I was hoping for the revelation of some awesome album by some unknown artist I had never, ever heard about before, but I can’t say I will disagree with this album. While not the most representative track, ‘The national anthem’ shows how much they can stray from their main theme while still remain consistent, and it is definitely my favourite track on this album. Ya man, I’m disappointed at not being able to buck the trend too, but even if I had never read a word of music criticism in the 00s I still would have picked this for my #1. Agreed very much on ‘The National Anthem’, for me the most experimental track but still very much a Radiohead song. It was really hard for me to play favourites with any of the tracks, though – the idea of only listening to portions of the album is almost inconceivable to me. Bugger me, I never knew my part in all of this! Glad to be of service. But what did YOU listen to more than anything else in the 00s? Very interesting choices and equally interesting is the way our memories work. I remember listening to Jimi Hendrix’s ‘Are You Experienced?’ for the first time ever and on headphones as being my life altering experience. ‘Set and setting’ are so important as Timothy O’Leary used to point out. Music is the soundtrack to our lives and just hearing a note or two of something seminal can catapult us back to a particular time in our lives. Awesome, that family Desert Island Discs (East Parkdale Presses?) series is looking more and more promising.